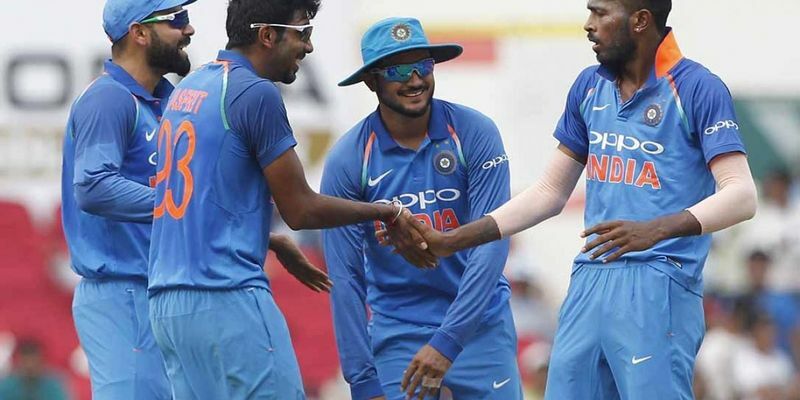 Bharat Arun has been of the opinion that the hiccups for India in the last two ODIs against Australia, which didn't go their way could be a great learning curve for the side ahead of the World Cup. After Aussies leveled the series 2-2 at Mohali, both the sides will have all to play for on Wednesday. After winning the series in Australia, the Men in Blues were the favourite to seal the deal in their backyard. Instead, after a 2-0 lead, the Kangaroos have drawn the series level with two consecutive wins. After India couldn’t defend a mammoth target of 358 at Mohali, it was a reality check for the hosts with less than three months to go for the World Cup. While they had looked all set to challenge for the World Cup already, numerous chinks in the armour have come out. While the middle order has still bothered India even after giving a long rope to Ambati Rayudu, who has failed to perform as per expectations, Rishabh Pant has been disastrous, to put it mildly, behind the stumps. Dinesh Karthik, who had been kept out of the fray, could now see some ray of hope. However, Arun has been of the opinion that this series has been a huge learning curve for the side, who would rectify their errors soon ahead of the World Cup. “There are certain areas we need to address, both in our batting or bowling. I would look at it (the Mohali loss) as a big positive because it has occurred much before a major tournament like the World Cup. It has thrown up areas where we really need to buck up, tighten up. The way the series has gone it has been a great learning curve for us,” he said, as reported by TNN. Pant’s performance left a lot to be desired. Mahendra Singh Dhoni was “rested” for the final two matches and Pant was given a chance as an audition for the World Cup berth. However, the youngster was once again caught playing a rash shot, while his wicket-keeping also remained under par with as many as three missed chances. Arun, however, felt that it would be wrong to compare the prodigy with MS Dhoni as there have been a lot of pressure on him to fill some big shoes. “It is very unfair to compare Pant and Dhoni at this particular moment. Dhoni is huge, he’s a legend and his work behind the stumps is exemplary. India will play Australia for the final ODI at Feroz Shah Kotla, Delhi on March 13, which will be the final match for India before the World Cup. They will play the IPL next which is slated to begin on March 23.